Here are the companies that have pledged games for Sony's new console. 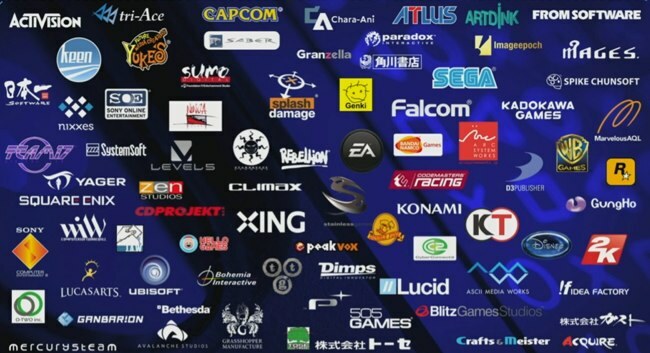 During Sony's PlayStation 2013 event the company showed off a list of all the third-party developers and publishers that have promised titles for the PlayStation 4. There's next to nothing in the way of confirmation of individual titles, but I imagine you can use your imaginations. Let's get some wild theories going in the comments section, eh? We only get to do this once every seven years or so!